For the upper abdominal pain caused by spleen and stomach discord,abdominal distention and fullness,anesthesia and chronic gastritis see the above symptoms. Strengthening the spleen and stomach,regulating qi and activating blood. 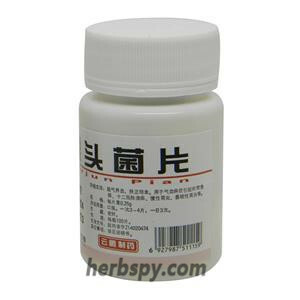 Tangshen Root,Indian Bread,Largehead Atractylodes Rhizome,White Peony Root,Danshen Root,Red Peony Root,Common bletilla,Chinese Rhubarb,Cucklandia Root,Szechwan Chinaberry Fruit,Mume Fruit,Natural Indigo,Accessories are sucrose and dextrin. This product is brown-green particles; sweet, slightly bitter. 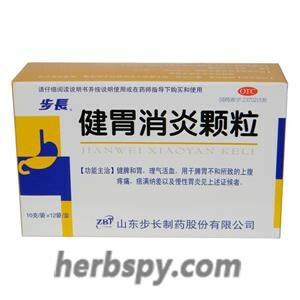 For oral use after meals,20g thrice daily or by medical ordor. 1.Avoid raw,cold, greasy food during taking this product. 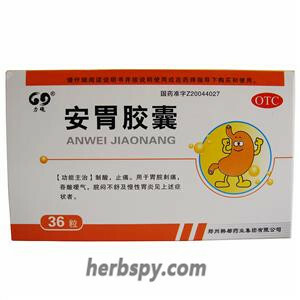 2.Does not apply to the spleen and stomach yin deficiency, mainly as dry mouth, red tongue,less liquid, dry stool. 3.Children, elderly ,feeble and weak patients and diabetic patients should be taken under the guidance of physician. 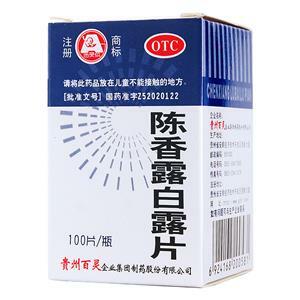 5.Hypersensitivity to this product should stop using，allergic constitution with caution. 6.Do not use this product if the property changed. 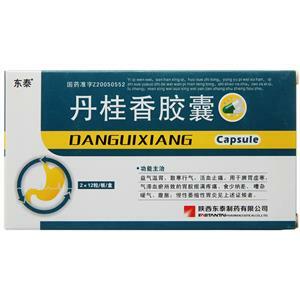 8.If you are using other drugs, please consult your doctor before using this product. 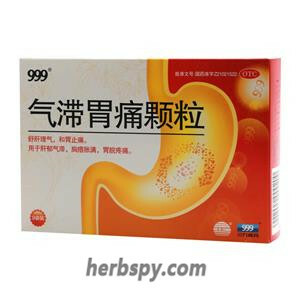 Stage Food and Drug Administration Approval number:Z370215036.